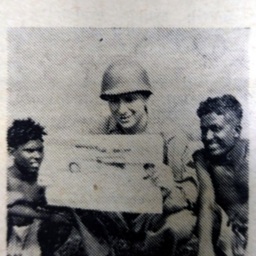 Photograph from the Shenandoah Herald newspaper showing Technical Sergeant Edwin C. Keys reading that newspaper while deployed to India during the Second World War. This photograph was part of an advertisement encouraging individuals to buy subscriptions for local service members. Shenandoah Herald (Woodstock Va), “Tech. Sgt. 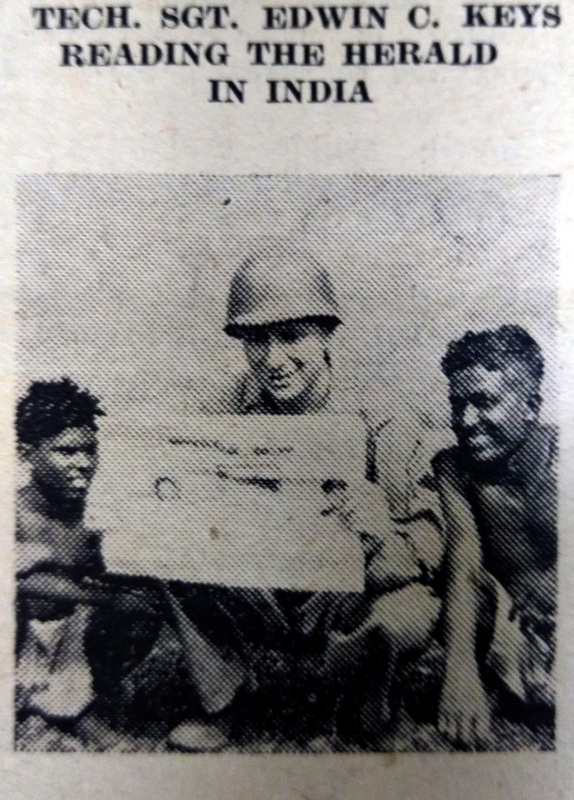 Edwin C. Keys Reading the Herald in India,” Shenandoah County Library Archives, accessed April 19, 2019, http://archives.countylib.org/items/show/11380.